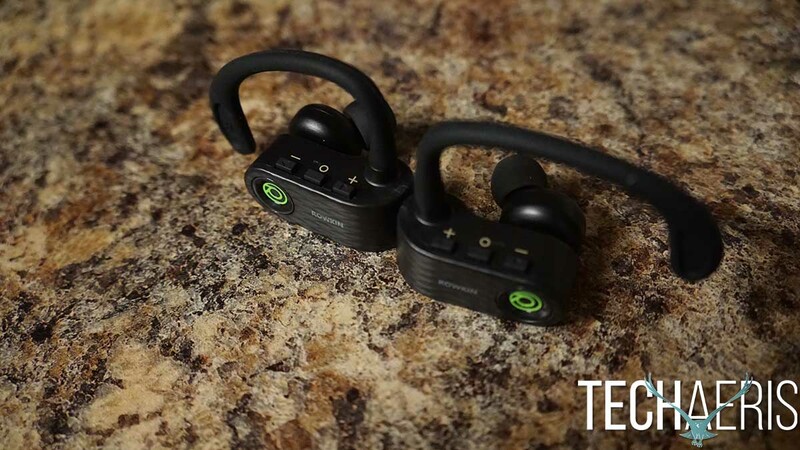 Wire-free earbuds are convenient, especially if you don’t want a cord getting in the way while you’re out for a jog or working out at the gym. 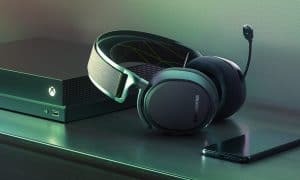 In a world where cordless headphones are slowly becoming a thing because of cell phone manufacturers steering away from headphone jacks, there are some manufacturers who are trying to get ahead of the game like Apple did with their Airpods. 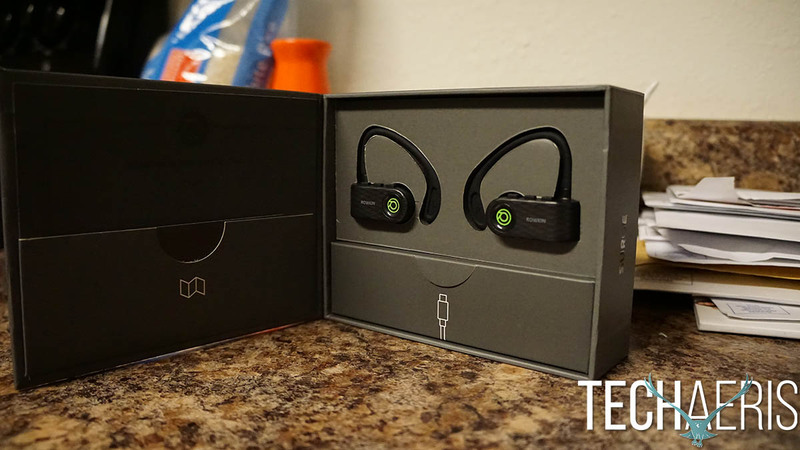 Wire-free earbuds are convenient, especially if you don’t want a cord getting in the way while you’re out for a jog or working out at the gym. Rowkin is here to make true wire-free earbuds easier for everyone by doing away with cords on the Rowkin Surge wireless earbuds. 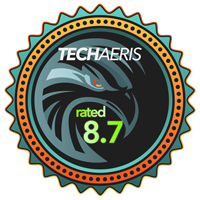 Check out how they did in the review below. The box is happy to be opened. 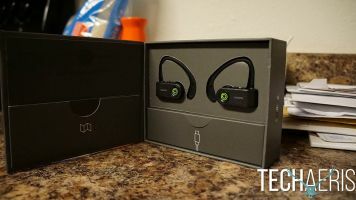 When I took the earbuds out of the box, my first impressions of the design was, “this design looks familiar.” And sure enough, they reminded me of the Beats PowerBeats without any cord going from one earbud to the other. I don’t believe Rowkin was trying to copy this look, but honestly, it doesn’t look bad at all. 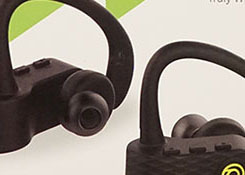 Looking at the outer shell, the earbuds have a diamond crossed black background with the Rowkin name and their logo impressed into the earbud. The color of the logo will be either Fearless Green or Bold Orange depending on the color you chose. Up top are the controls on both the left and right earbuds with three buttons. Left button controls volume up (+) / skip track, center button controls play/pause / activate Siri/Google Assistant / answer incoming call, and the right button is for volume down (-) / last track. The last thing up top is the rubber ear hooks that wrap around your ear that are labeled with an “L” or “R” letting you know which ear it goes in. The backside also has another “L” or “R” indicator. Last but not least, the bottom doesn’t have much going on other than a rubber cap hiding the MicroUSB port so you can charge the Surge earbuds. Next to the rubber cap are two small holes, one is for the mic and the other is for the LED letting you know the wireless earbuds are on, charging, or low on power. 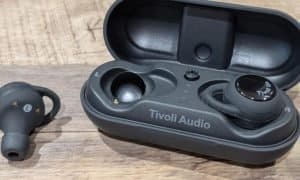 One thing I will point out now is that you will need to go online to see the instructions on how to pair the wireless earbuds with your mobile device. Not sure why Rowkin made this decision instead of putting in an extra slip of paper in the box with the two that are already there, but that’s the way they wanted it. 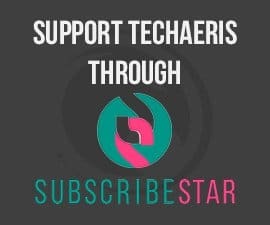 After getting to the URL that was provided, setting up each earbud is pretty simple. 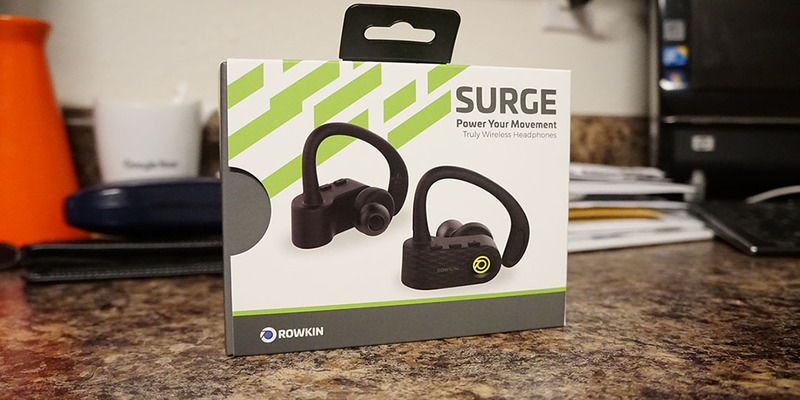 Flip through the pictures of other Rowkin products until you get to the Surge option, from there just follow the directions and you’re on your way to using the earbuds. 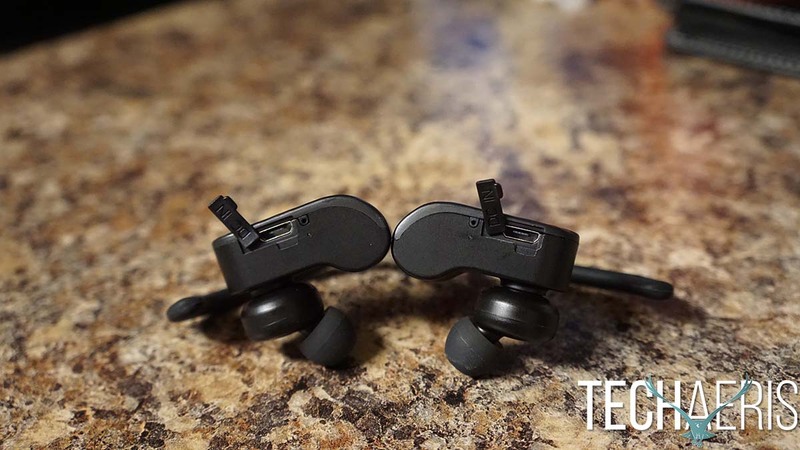 Each earbud needs to be paired one at a time by holding down the center button. 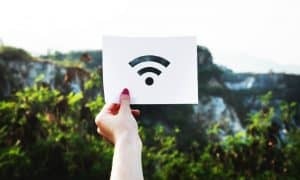 Once you hear “power on,” keep holding until you hear “pairing.” From there choose the devices on your mobile device, listen for “connected” and you’re good to go. When using the Rowkin Surge, the button layout is easy to understand. I stated this in the Design portion, but I’m expanding on the button layout more for a better understanding. 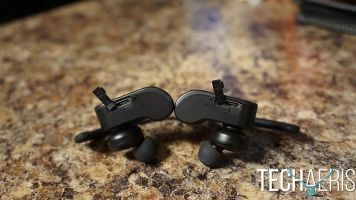 The front-most button is for volume control while holding down that same button on either earpiece will change the song. Long press on the center button will play/pause the music while activating Siri or Google Assistant depending on which device you’re using, and the back most button controls your volume down with a long press to replay the last song. Sound can vary from headphone to headphone. 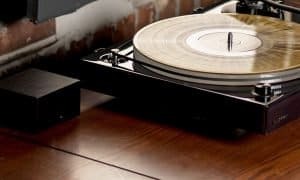 Companies will put their own spin to make them stand out from the competition, but Rowkin seems to have gone the easy route and just make the sound quality the way they want to. Rich bass, nice mids, and great treble. 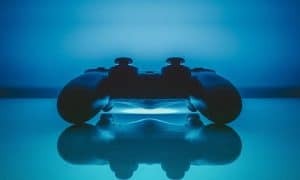 I was able to hear my music crystal clear with little background noise with the volume at a very minimum level, fourth volume setting from the bottom. Anything higher than that was plenty loud and unnecessary to me as I didn’t need to drown anything in the background out. Left earpiece is the only side that will work for phone calls, but when testing phone calls, they went pretty well. Calls are clear on the other end, but that person is able to hear everything in the background just as well as me speaking. The same person was also getting an echo. I figured it was probably on my end or, because when I made a call to someone else, the same thing happened. There was an echo and she was able to hear everything going on around me. 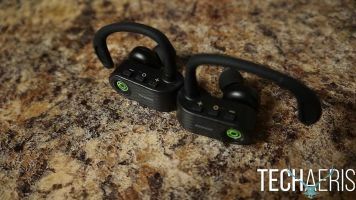 I don’t expect people to use these wireless earbuds for a lot of phone calls, but if you do, beware that whoever you’re talking to will be able to hear everything around you. Rowkin claims you can get up to 5 hours of battery life with talk time and music playback. 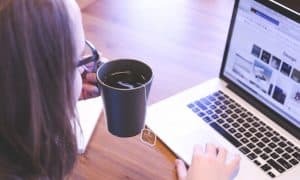 That will all depend on the environment and how often/long you’ll be talking on the phone or listening to music during the day, but the company’s claims were just about on point. I charged the Surges twice (once from first opening the package and after they ran out of juice) from the week that they were tested and accumulated about four and a half to five hours of time on one charge. Some cool benefits that Rowkin added to the Surges are with a 10-minute charge, you can get up to one hour of music playback and that in one hour, your units will be fully charged. 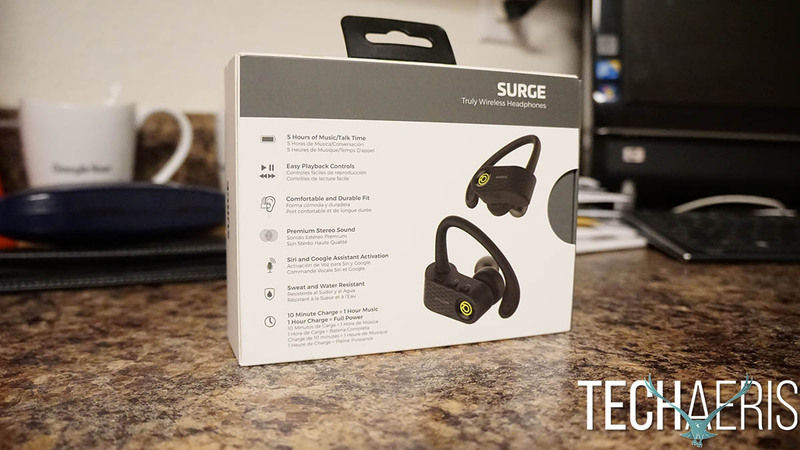 Sure the battery may not be that big so it doesn’t take too long to charge, but you can leave it on the charger and use them whenever your next work out is or if you just want to sit back and listen to music or watch a video. 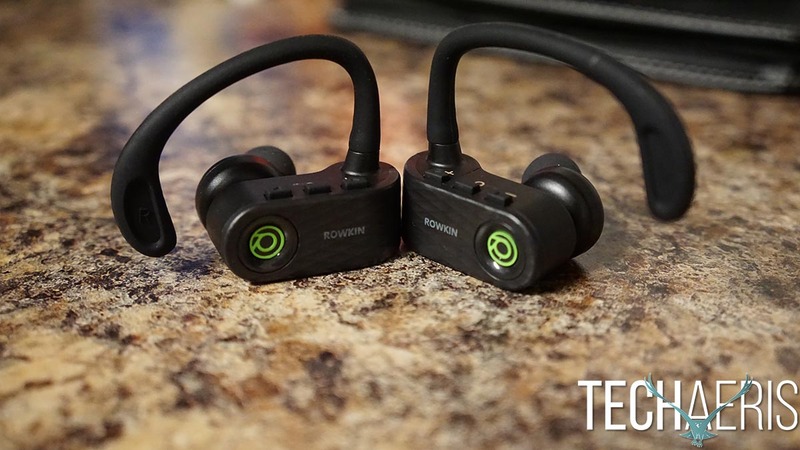 Rowkin is offering a price of $129 for these guys which happens to be at a much more affordable price than other true wire-free earbuds out there. 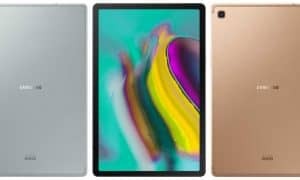 Yes, $129 is still a lot if you’re short of funds, but you’re saving funds if you’ve been thinking about getting a pair of Airpods or something else out there. 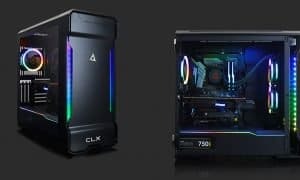 Do I recommend these? 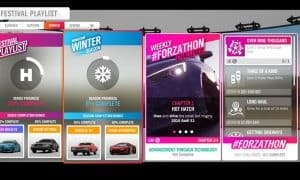 Yes, as the price is pretty fair. 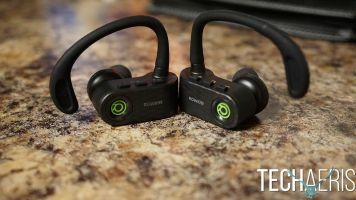 Overall, I enjoyed using the Rowkin Surge wireless earbuds, but there was one thing that I noticed and didn’t understand. The left earpiece would stop playing sound for half a second and then start again. The right side never had that issue and I tried it on two different phones, but the same thing kept happening. It could be my set, but don’t let that be your final decision because of a fluke. 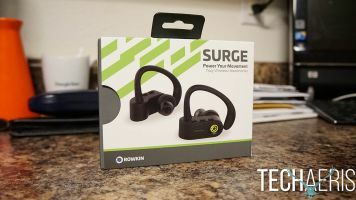 WE WERE SENT A REVIEW SAMPLE OF THE ROWKIN SURGE WIRELESS EARBUDS FOR THE PURPOSES OF THIS REVIEW.